Formerly known as being one fifth of pop group The Saturdays – Una Healy returned to her Irish roots to launch her solo career in 2016. Una began her career as a singer/songwriter before finding fame with The Saturdays so writing for her debut album came very natural to her. Una hit the UK country scene whilst touring with the likes of Maddie and Tae and fast grew a fan base within the country community leading to sold out shows shortly thereafter. In January 2017, Una released her debut album The Waiting Game via Decca Records (The Shires, Andy Brown, The Wandering Hearts). The Waiting Game saw singles such as Stay My Love which featured Sam Palladio from TV’s Nashville, title track The Waiting Game and Battlelines. In September last year, Una made a guest appearance on Brett Young’s UK release of his hit single In Case You Didn’t Know bringing a new perspective to the song as a duet. 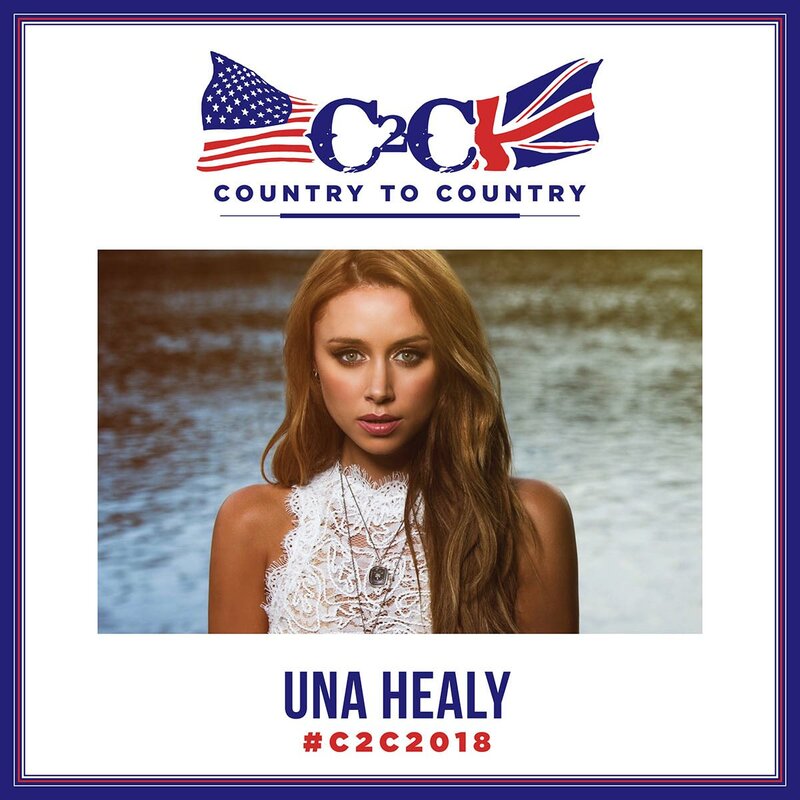 Una appeared at last years C2C Festival and is welcomed back this year. We look forward to seeing her sets and hearing more about her future plans.